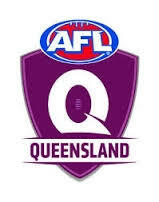 The seasons have been completed in AFL competitions across northern and central Queensland over the past few weekends. Following is a brief rundown on each of the major competitions. For the victors, they are still quite possibly celebrating whilst other clubs will take a break from the game for a short while before plotting their assaults on the 2015 seasons. The Port Douglas Crocs won their fifth senior premiership when they defied recent history, and the patterns of the home and away season, when they dispatched the Cairns Saints. History says that Cairns Saints have been to eight consecutive grand finals for five flags since 2007. They finished the home and away rounds in second place behind the much improved South Cairns Cutters. But Port Douglas was not deterred as they defeated both teams in the preliminary and grand finals to surprise many. The season was memorable for the Crocs as they also won the Reserve grade flag and the Under 17 Colts flag. North Cairns Tigers women’s team won their fifth consecutive premiership. The Thuringowa Bulldogs went back to back, and won their fourth flag in five years, when they thrashed the Hermit Park Tigers in the Townsville competition. Thuringowa, based at the city’s premier AFL venue Tony Ireland Stadium, won their 13th flag (four as Thuringowa and nine as West Townsville before that). The club made it a Bulldog’s season to remember by taking out the reserve grade and Under 16 flags also. University Hawks took out the women’s premiership for 2014. 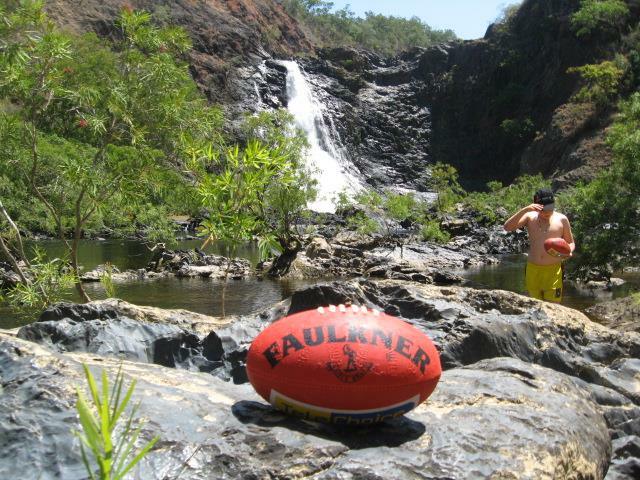 The Bulldog theme continued further south in Mackay when the Moranbah Bulldogs took out the AFL Mackay flag. This was just the third flag for Moranbah. They also had to defy history to defeat the Mackay City Hawks who had won three flags in a row from 2011-2013. But the team from Moranbah, a large mining town 195 kilometres inland from Mackay, were determined to write their own chapter in the history books. They finished the home and away season in second place behind the Hawks, but come grand final day that meant nothing. The Eastern Swans took out the flags in reserve grade defeating the Hawks. They also won the Colts competition defeating North Mackay Saints. In the women’s competition it was the Magpies Northern Beaches team taking the premiership title from the Eastern Swans. The Mount Isa Tigers took out the local competition this year when they defeated the Alpurruurulam (Lake Nash) Young Guns in a thriller by just two points. The Young Guns, their home being in the Northern Territory, just 17 kilometres from the Queensland border, made a fast start to lead by 20 points at quarter time. After that the Tigers just kept coming, reducing the gap to 17 points by the main break and 10 points by three quarter time before running over the Young Guns in a thrilling final quarter. The home and away season had seen the teams play each other five times and once in a semi-final. They were locked on three wins each, so the closeness of the grand final was not a surprise. The Glenmore Bulls defeated the Yeppoon Swans in the AFL Capricornia grand-final. For the Bulls it was a triumph of persistence as they broke a 24 year premiership drought. In reserve grade the BITS (Boyne Island – Tannum Sands) Saints won the flag defeating Glenmore, whilst in the women’s league the Glenmore girls defeated Panthers.